KUALA LUMPUR, Oct 18 — The government expects the growth of Malaysia’s halal export to increase in line with the country’s total trade expansion which is projected at three per cent this year. 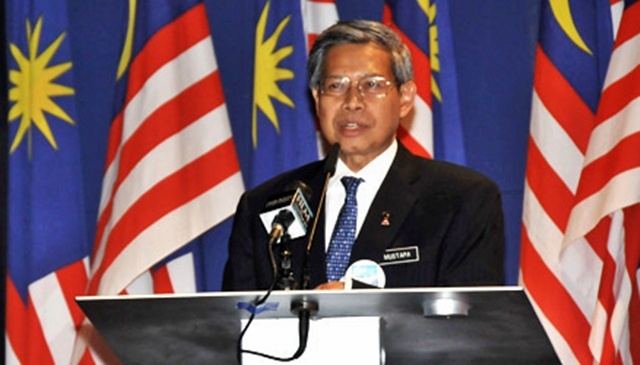 International Trade and Industry Minister Datuk Seri Mustapa Mohamed said up to June this year, Malaysia had exported halal products worth RM15.7 billion. “Out of this figure, 14.4 per cent or RM1.6 billion was contributed by halal certified Bumiputera companies,” he said to reporters after witnessing the signing of a memorandum of collaborative arrangement between Halal Industry Development Corporation (HDC), SME Bank and Bumiputera Agenda Steering Unit (Teraju) here today. Mustapa said based on export statistics, Malaysia was the biggest halal product exporter among the countries in the Organisation of Islamic Cooperation. “The main destinations for Malaysia’s halal production for the export market are China, Singapore, the United States, Indonesia, the Netherlands and Japan,” he added. Meanwhile, HDC, SME Bank and Teraju signed a collaborative arrangement for the Halal Development Fund amounting to RM280 million. The fund is tailored for halal industry players and Bumiputera entrepreneurs with strong potential to penetrate and expand their exports into the global halal market. Through this collaboration, HDC will handle the pre-screening and provide a list of eligible quality halal companies, SME bank will process these applications and disburse the approved facilities while Teraju will provide guarantee placement of funds for selected Bumiputera players. Until September 30, 2013, SME Bank had approved applications worth RM89.4 million under this fund. “We expect the balance of the fund amounting to RM190.6 million to be fully approved by the first quarter of next year,” said SME Bank Managing Director Datuk Mohd Radzif Mohd Yunus. At the same event, SME Bank and Teraju signed a TERAS Fund financing agreement with an allocation of RM320 million, with the aim of identifying potential Bumiputera entrepreneurs to be absorbed into the High Performing Bumiputera Companies (TERAS) programme under Teraju. The TERAS programme assists Bumiputera entrepreneurs to improve their business to a higher level and become global champions.